A rapid and resourceful carrier you can count on to complete every last step of your delivery needs. With LastMileDeliveries.com, you’ll never have to worry about finding quick ground transport in an emergency. We specialized in same day delivery services, loading your goods and setting out for the destination the moment you place an order. 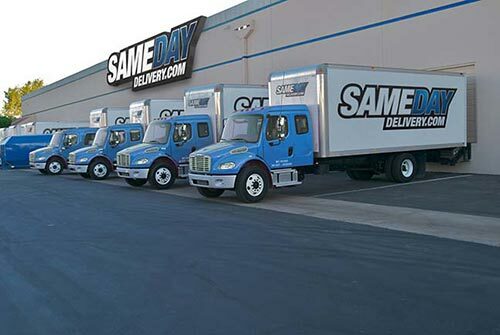 By maintaining coverage in all major US and Canadian cities, we have an automatic head start on any delivery. You can always trust us to get there by the deadline. Next Day Deliveries - By keeping drivers in strategic positions, last mile delivery companies are able to get to your destination reliably by the end of the next day. This limits the length of the delay and the emergency’s overall impact. Overnight Deliveries - Sometimes, shipping within 24 hours just isn’t fast enough. The carrier must therefore provide overnight deliveries, getting your goods to their endpoint by the start of business the next day. 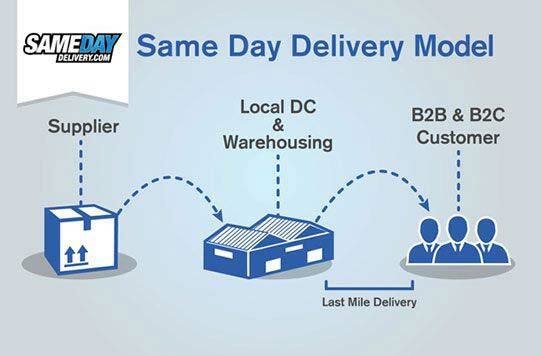 Same Day Delivery Service - For the most critical supplies and customer orders, you may literally be unable to wait for more than a few hours. Your carrier will therefore have to complete the order by the end of that day. LastMileDeliveries.com offers all three categories of expedited trucking service. We have more than a decade of experience serving hundreds of companies across dozens of fields, and are prepared to handle all of your goods swiftly and safely. Trust us to perform last mile deliveries and no shipping disaster will catch you off guard. LastMileDeliveries.com doesn’t just give you our word that your orders are on their way. We also track those orders from start to finish, and can offer you reports on their position whenever you ask. Our tracking technology also allows us to look out for obstacles on the way to your destination and plan around them, as well as to respond quickly if there is an accident. In this way, we keep you fully informed and your items safe and on schedule. To learn more about rapid trucking with LastMileDeliveries.com, visit our website today or call (800) 713-1000.